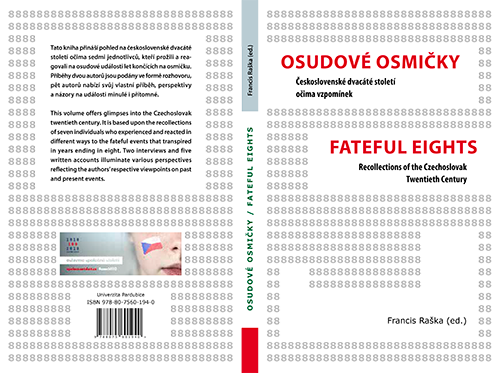 The creation and publication of this book has been made possible by the project of the Ministry of Education, Youth and Sports of the Czech Republic Czechoslovakia and Its Cultural Identity in the Historical Memory of the 20th and 21st Centuries (MRP 180001). The reflection of the fateful “eights” in the Czech history of the 20th century in the personal memories of prominent figures of the Czech domestic and exile scientific and journalistic community was one of the thematic blocks of the 6th Annual Conference of the Czech-American scientific society Comenius Academic Club, which took place on June 8–10 2018 in Litomyšl. 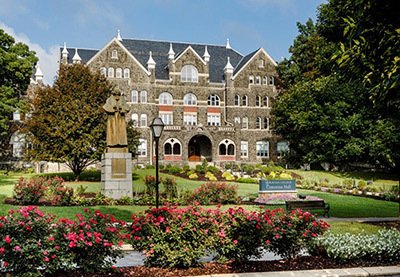 In March 2017 celebrations took place in the town of Bethlehem, Pennsylvania, marking the 275th anniversary of the founding of the Moravian College, and at the same time of the town itself, the centre of which this school has become. One of the activities undertaken in the early days of the Comenius Academic Club was the exhibition “Millennial Heritage of Czech Currency” prepared by the East Bohemian Museum in Pardubice in collaboration with the University of Pardubice. On Friday, June 28, 2013, a viewing of this exhibition took place at the Bohemian National Hall in New York on the eve of the first scientific conference of the Comenius Academic Club. The preparation of this exhibition, which in the autumn months of 2013 traveled from New York to La Grange, Texas, where it was presented by the Texas Czech Heritage and Cultural Center, required much effort and financial expenditure associated with its transportation between continents and on-site installation. The exhibition attracted the attention of visitors in New York and Texas, as well as of the Czech media. Apparently, interest was also sparked elsewhere. Perhaps it is merely a coincidence, but who knows. The Comenius Academic Club provided the East Bohemian Museum with the opportunity to present the thousand-year heritage of Czech money in distant New York, which is the current center of big money. The museum undertook its task with honor. Is it a mere coincidence that two years later, in the final months of 2015, the museum received a completely unexpected reward, namely the real millennial heritage of Czech money concealed for 1,000 years in a secret underground hiding place? 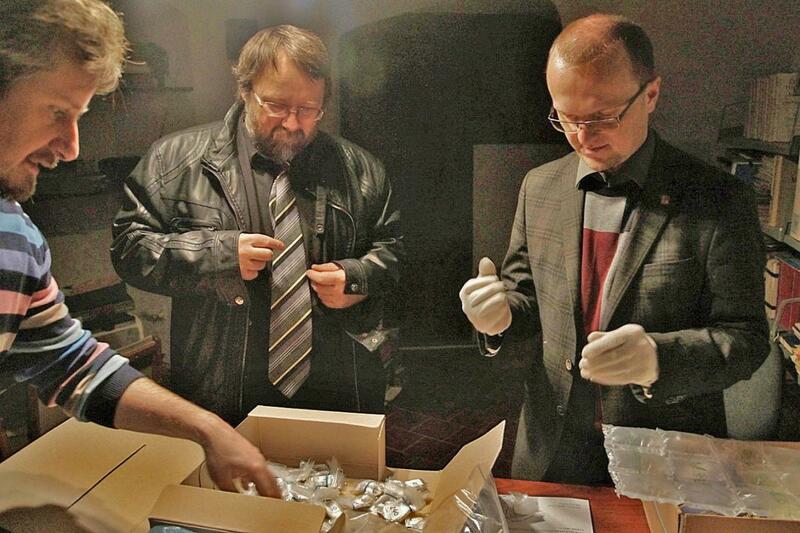 Shortly before the 2015 Christmas holidays, the legitimate finder (who wishes to remain anonymous and will receive a generous financial reward for his discovery), presented the museum with an extraordinary coin discovery found on the territory of the Pardubice region (the precise location is known, but will not be disclosed until systematic archaeological research in the area is undertaken). The find comes from part of a container from the Middle Ages containing more than 400 silver coins (denars) from the end of the tenth century. These coins, protected by the ceramic container have been preserved in virtually their original condition and, due to the fact that they made of pure silver, have not been damaged by oxidation. In fact, the coins look as if one of our ancient ancestors brought them from the duke’s mint in Prague or Vyšehrad. Several hundred other coins that escaped the cracked container over the past thousand years are damaged, but most are easily identifiable. Most of the coins in question were minted by Duke Boleslav II (the nephew of St. Wenceslas), who governed the Czech Duchy from the late 60s/early 70s of the 10th century until his death on 7 February 999. This preserved find represents an extraordinary collection of the oldest Czech coins. Its historical value is priceless. In expert circles, there is talk of the find of the century because, until now, there has never been such an extensive, well-preserved collection of Czech coins available, issued by our dukes 1000 years ago. 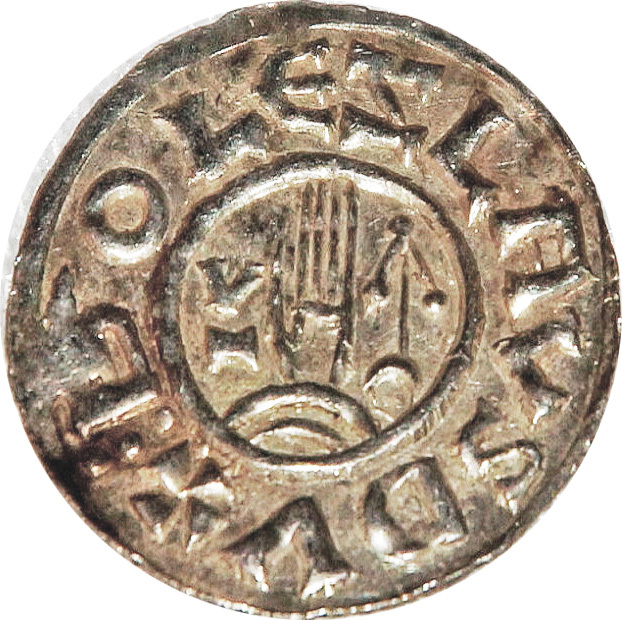 At that time, the Czech Duchy represented not only an influential political entity within the framework of a gradually Christianizing Europe (thus mainly Christian motifs can be found on the oldest Czech coins), but also a significant economic center whose leaders had their own silver emanating from Czech sources at their disposal. 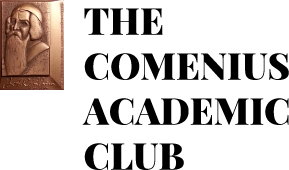 The Pardubice “dinar treasure” found in 2015 serves as unique evidence of this. Scientific analysis of this discovery will take several years. At least partial public access will be granted within the framework of the Czech version of the above-mentioned exhibition “Millennial Heritage of Czech Currency”, organized by the Comenius Academic Club in New York in 2013. Enriched by the new discovery, the East Bohemian Museum in Pardubice will organize this exhibition in the Parliament of the Czech Republic in early March 2016.